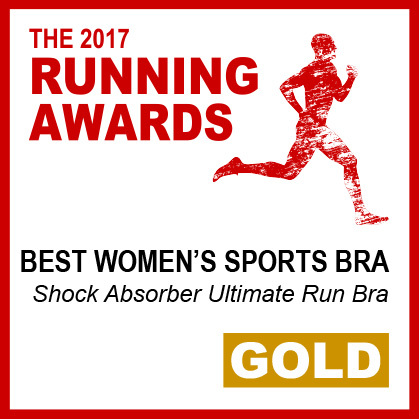 For a women a Sports bra is as important as a good pair of sneakers – regardless of whether you have smaller breasts or are bigger busted. Our research has shown that even an A cup can bounce up to 4cms while a G cup can bounce as much as 14cms*. You can see how different types of exercise, depending on your cup size, impact the breast visually thanks to the Bounce-o-meter. There are no muscles in the chest. Only skin and Cooper's ligaments support breast tissue. Any excessive amount of breast movement puts strain on these ligaments causing them to stretch and nothing can naturally restore them. Tolu shares her Active Multi Sports experience. to 78%*, twice as much as a conventional bra. All Shock Absorber styles are made from technically developed materials to meet specific criteria. suit me and according to my activity, I just tighten the straps more or less. You sound like 80% of the women who are wrong in size and miss out on the benefits of a good sports bra. 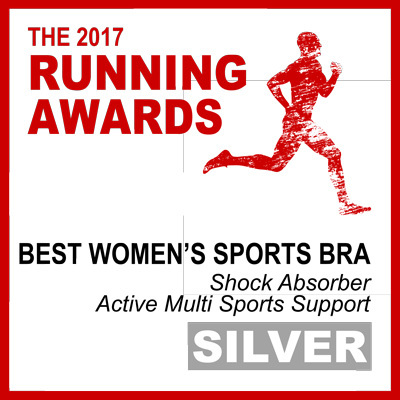 It’s not just about support, with the right fitted bra you feel more comfortable, confident and can focus solely on your performance. Go to your closest store to get professional fitted our use our online fitting tips to find the only size that you should be wearing! We recognize a good bra because we can see right away that it is pretty. When you try on a sports bra, you have to jump, lift your arms, bend down, and run on the spot. You will then be able to see and feel if the sports bra fits you correctly. I have a tiny chest, I do not need to wear a sports bra! The chest is not a muscle and whatever its weight, small or big, the Cooper's ligaments that hold it stretch after repeated movements and they do not recover ... Why not use our Bounce-o-meter to show you? Does each sport require a different sports bra? Yes, because the impact on breast changes based on the intensity of each sport. For example there is more pressure on and movement of the breast during Running (High Impact) than say Pilates (Medium Impact), so they require different levels of support. But more than support, the style can influence your comfort levels, for example in Pilates there is lots of floorwork, so something like our Active Zipped Plunge which is front opening will ensure you don’t feel any uncomfortable back fastenings when lying down. The band around the chest should be level front and back. It needs to be comfortable but firm. A good gauge to ensure that the underband fits well is being able to fit two fingers between the underband and your skin. Any more space and the band is too big and could cause friction. Perfect fit. The underband is firm and level the whole way round. There should only be a one to two inch give. Ensure the band is neither too loose nor too tight. If the underband rides up at the back then the band is too big. Perfect fit. Each breast is full contained. If the breasts are squashed or cleavage is on show, the cup size is probably too small. If the fabric is gaping or wrinkling then this suggests the cup size is too big. The cup should contain the whole of the breast, with no creases and no cleavage on show. Sports bras come in different styles, usually a traditional U Back or Racer Back. The straps should be adjusted to fit securely on the shoulders with only one to two inch give. Perfect fit. If you slide two fingers between the strap and the skin, there should have only a one to two inch give. If straps are digging into the shoulders, loosen them until the perfect fit is achieved. If straps fall off shoulders, tighten them so that they fit securely on the shoulders.